Life is good in Austin, which is probably why everyone wants to move here -- we’ve got some of the country's most celebrated restaurants, and the swankiest cocktail dens slinging complex and photogenic drinks. That's not all there is to the city, though. Don’t get us wrong: crossing hotspots off your ATX bucket list is great, but there's something to be said for digging into Austin’s more unexpected offerings. If you want to mix it up and explore the city’s nightlife in a new way -- one that doesn't involve marching up and down 6th street -- we’ve got you covered, from moonlight kayaking to bingo with the Morticia Addams of ATX drag queens. 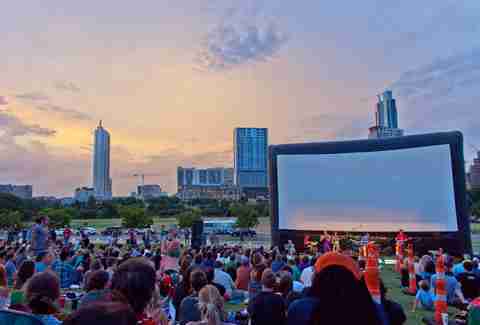 As if you need another reason to love Austin, every summer sees the return of outdoor movie season -- and consequently, our comprehensive screening calendar. Movies in the Park and Sound & Cinema both host free films that start just after Sunset. Movies in the Park is screened at public parks all over town, and the screenings are free with a family-oriented picnic vibe. Sound and Cinema takes place on the lawn at the Long Center at Riverside and Barton Springs, runs from July to August, and pairs films and live music with food trucks and alcohol sold on site. Stay tuned for the upcoming film schedule. The North Door hosts a bevy of cool events each month, including a few that cater to the geekier demographic. 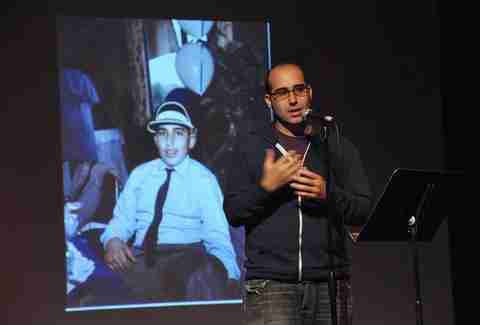 Nerd Nite Austin celebrates all things nerdy in an in-depth, entertaining manner, with a new topic and presenters every month touching on topics ranging from the philosophy of superheroes to the mathematics of dating. Juegos Rancheros is a community of independent game developers and fans who host monthly meet-ups to showcase the best in indie gaming. And, don’t miss nationally celebrated Mortified, where grown-ups share their most embarrassing -- and hilarious -- adolescent writings and memories onstage. Protip: you can (and should) get an excellent burrito from Pueblo Viejo afterward. 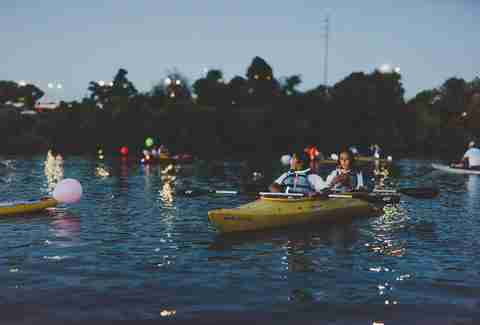 Every full moon, Rowing Dock on Lady Bird Lake hosts a full moon paddle, which is exactly what it sounds like: participants get to paddle a kayak, canoe, or stand-up paddle board on Lady Bird Lake by the light of a full moon (provided the weather's good). 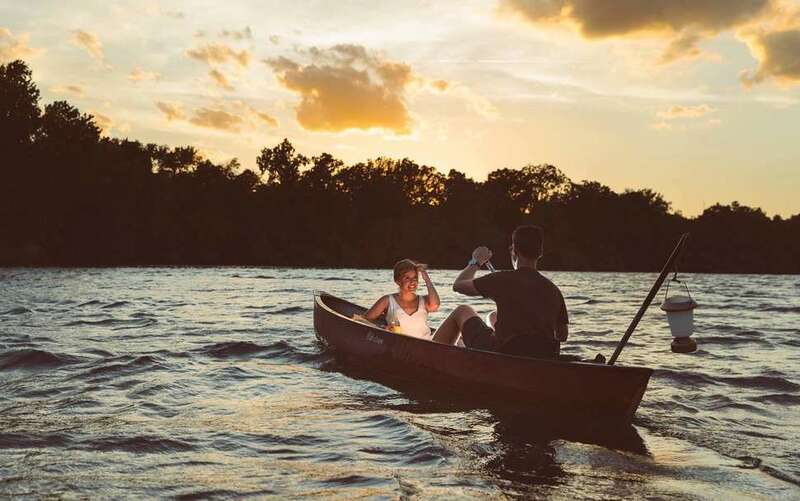 Once you're on the water, you can either make your way upstream towards Red Bud Island, or head the opposite direction and get an incomparable view of the lit-up Austin skyline at night. Reservations aren't accepted, though, so you'll want to arrive early. 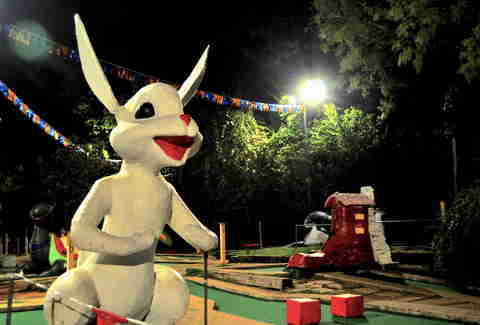 This BYOB Austin institution's been around since 1948, and while you could visit during the daytime, Peter Pan stays open until 11pm during the week (and till midnight on Friday and Saturday) -- which means you can also get some post-sunset putting done among the colorfully creepy sculptures. Bring a wad of cash, a group of friends, and a cooler of beverages in non-glass containers, and spend an evening working your way through both 18-hole courses. The days of shooting Fireball are in your past (hopefully), so you deserve to elevate your palate to match your grown-up drink preferences. Downtown whiskey bar Seven Grand and agave-focused sister bar Las Perlas, just next door, both offer educational talks and tastings for $25 per person. At both Whiskey Society and Mezcal Collective events, you’ll get a deep dive into the history, the makers, production process, and most importantly, the flavors of the two spirits. Mezcal 101 and Mezcal 201 are fun, educational mezcal tasting events held in East Austin with spirits podcast host/distiller Mike Groener and mezcal expert/bartender Leslie Urbina-Cobos. You’ll explore the mystical Mexican spirit through tastings from different regions with two mezcal-obsessed industry cool kids. As a bonus, everyone gets to take home a veladora, which is a special glass for sipping mezcales. While the topical nature of Detective Pikachu may evoke some serious, timely conversations, you owe it to yourself to dig deeper into the weird, wonderful world of film. Film buffs will feel right at home at the Austin Film Society’s AFS Cinema; founded by filmmaker Richard Linklater, the intimate theater regularly screens a brilliantly curated selection of foreign, classic, and arthouse films, and also features an excellent full bar. 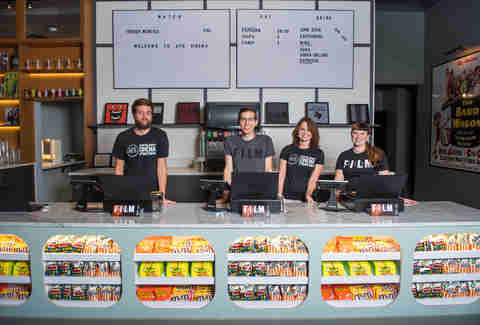 And there’s the beloved Alamo Drafthouse, whose locations all over town feature programming that goes beyond new releases into the fun and funky realm of b-movies, campy horror, and even dance parties. Louisianna Purchase is a busy queen these days. Voted Best Drag Performer in Austin for the last three years by the Austin Chronicle, Louisianna spreads her gothy gospel all around town. Join her for drag queen bingo at both Jo’s Downtown on 2nd Street and St Elmo Brewing in South Austin. You can also hang with co-hosts Zane Zena and Louisianna as they host two spooky and kooky events -- every 3rd Thursday, Die Felicia presents a full drag show party at Red River dive Elysium with costume contest, prizes and drag performances. Then, on the last Sunday of the month, Die Felicia presents Horror Classics: a free show at Barrel O’ Fun inside the Alamo Drafthouse Mueller location, where Louisianna and Zane choose a campy horror film to screen accompanied with trivia and performances from the horror hostesses. The crown jewel of Austin is well worth a visit once the city's temperatures start ramping up, but anyone who wants to add another dimension to their swim should consider swinging by Barton Springs once the sun sets. The pool is well-lit at night -- especially if you plan your visit around a full moon -- but note that there aren’t any lifeguards on duty at night, so sobriety and safety are paramount. Admission is free every day from 6-10pm, with the exception of Thursday, when the pool is open from 7-10pm. 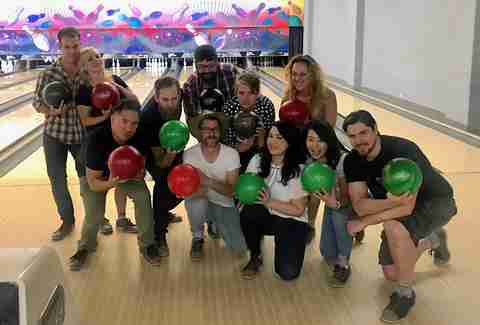 If you're in the mood to show your competitive side while wearing a pair of goofy shoes, take a spin through one of Austin’s bowling institutions. Visit the classic Brentwood bowling alley Dart Bowl, where you'll also find a Mission Impossible-style laser maze, and UT students get a free game with a student ID on Friday and Saturday evenings. For a charmingly stuck-in-time vibe off North Burnet, try Highland Lanes -- not only are the prices great, but it’s also home to Lebowski’s Grill, home to one of Austin’s best gut-busting burgers. 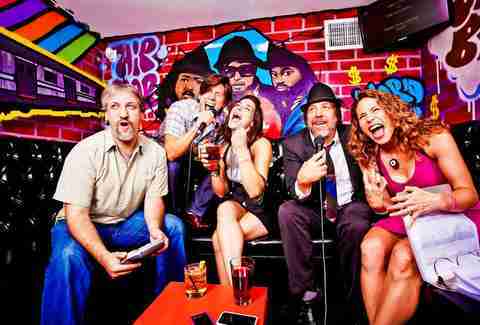 Depending on what side of town you’re on, there are a few great options for folks looking to bust out some vocals. Northsiders should check out Hi Tunes Karaoke on North Lamar -- it has clean rooms, it's BYOB and BYO-food, and is open almost all night! South Lamar’s The Highball has TV- and film-themed private rooms upstairs that are a blast, and are free to rent from 4:30-7pm all week. Exhibitionists will love the grimy charm of Ego’s on South Congress -- for decades the windowless dive has been the go-to for stage karaoke. This monthly dance party was started in 2010 by DJ Chorizo Funk and the husband/wife duo known as Riders Against the Storm. Body Rock was initially inspired as a throwback to the block-party vibe of hip hop’s origins: a DJ on two turntables weaving soundscapes, and MCs on a microphone leading call and response. Usually held at Sahara Lounge in East Austin, this is one of the few parties in Austin where you’ll find people of all ages, all colors, and from all walks of life coming together to groove and have fun. 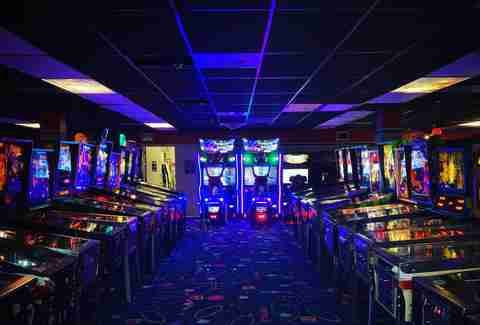 Pinballz is famous for its vast collection of classic pinball machines and arcade games, and there are now two new locations in addition to the original spot in the Wooten area. Pinballz Lake Creek is literally the size of a Walmart, and currently offers over 300 pinball machines and arcade games. You’ve likely seen Pinballz Kingdom while driving through Buda, as well -- the stone castle with dragon entrance is just off the highway. Pinballz Kingdom boasts not only lazer tag and bumper cars in addition to hundreds of games, but also a restaurant, German-style biergarten, lots of craft beer on tap, and a full bar. Win game tickets and hook your date (or yourself) up with something nice from the prize shop. A kazoo? A handful of Tootsie Rolls? The sky’s the limit. Protip: The North Austin OG location allows you to BYOB one drink at a time.